In the mysteries that surround Southern food, questions always arise when the talk comes to peas. Cowpeas, Field Peas, Stock Peas and Southern Peas are just a few names by which the Vigna unguiculata is known. Its humble origins seem to be in northern Africa where they are still cultivated to this day. The cowpea sustains the people who live on the very edge of existence with much needed nutrition and thrives in hot, dry conditions. Brought across the Atlantic to the Caribbean Basin, in the holds of the same ships that carried the tragic passengers who became slaves, it was introduced to the Americas during this dark portion of our history. There are records of its use in Jamaica as early as 1675. It has documented use in Florida in 1700 and North Carolina in 1714. Cowpeas were often known as a "poor man's" food since the landed gentry of the Eastern seaboard preferred the English Pea, Pisum sativum and considered the cowpea simply that: peas grown to feed the cows. 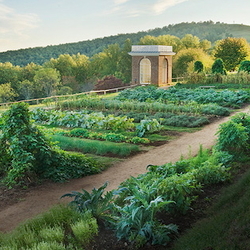 George Washington imported 40 bushels of what he called "pease" from Jamaica in 1797 to plant in his fields for forage, but no record exists that he actually sampled them himself. 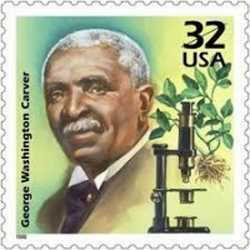 He would probably be shocked to learn that his cattle, slaves and sharecroppers were enjoying such a nutritious diet. Actually, George and his buddies were the same enlightened group who declared the tomato poisonous and unfit for humans, while his poorer but healthier counterparts were eating those with gusto too! Cowpeas consist of an average of 24% protein, are rich in the amino acids lysine and tryptophan and are most nutritious when eaten in combination with cereals. The Southern custom of serving peas with cornbread, rice or biscuits is a tradition that is actually healthy, although carbohydrate heavy. A legume and grain when eaten together make a perfect protein. This makes them an ideal food for vegetarians and people who limit their meat intake. The young shoots and leaves can be cooked and eaten in a manner similar to asparagus, or they can be prepared as one would any green such as turnip greens and collards. The ancient Romans and the peoples of the Mediterranean Basin were familiar with them and ate cowpeas prepared in a number of different ways. The young pea pods were often prepared as one would snap beans. The dried leaves are still used today as a meat substitute in poorer villages. When the cowpea reached the southern United States, it was a perfect marriage of plant, climate, and economic conditions. Southern farmers embraced the pea enthusiastically and through the years many varieties were developed, some becoming regional favorites, but little known elsewhere. 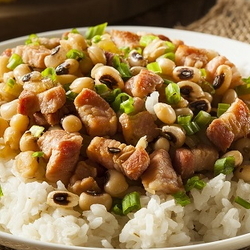 Many colorful names were given to this favorite legume and while the world probably is familiar with black-eyed peas, other names are much less common. Names like 'Clay', 'Red Ripper', 'Calico', 'Rattlesnake', 'Whippoorwill', 'Rouge et Noire', 'Mississippi Silver', and 'Texas Cream' may evoke delightful taste memories to many "old timers", but the rest of the world is ignorant of the variety available. The 'Clay' pea is a variety that has historical significance as Confederate soldiers carried them in their field sacks, as a non-perishable food source. Today, some groups who re-enact history grow the 'Clay' pea as an authentic food for use in their field provisions. The cowpea is a great plant that can survive and thrive in a broad range of conditions. Its few pests consist of aphids and stink bugs and its one cultural problem is that it does not like 'wet feet'. It likes long, hot summers but can be successfully grown in parts of the United States with less than ideal conditions. Varieties with shorter maturity dates are available for gardeners with a less lengthy summer. Gardeners in the west, where moisture is of a premium and the heat devastates many vegetables, should consider growing the cowpea. It would be one of the few vegetables that wouldn't have to be babied just to get a harvest. African American gardeners who would like to grow crops that have a deep cultural and historical significance should consider planting a patch of cowpeas. They have an authentic African connection that is still in evidence today. Gardeners in other parts of the world should check with their agricultural import laws. Australia is very strict in regards to the type of plants and seeds that they allow into the country and cowpeas are restricted due to the potential invasivenss in that climate, if they escape cultivation. Asia and the Middle-East would be ideal areas to grow cowpeas, but local import laws should be followed. Spain, Portugal and parts of France have great cowpea climates too. 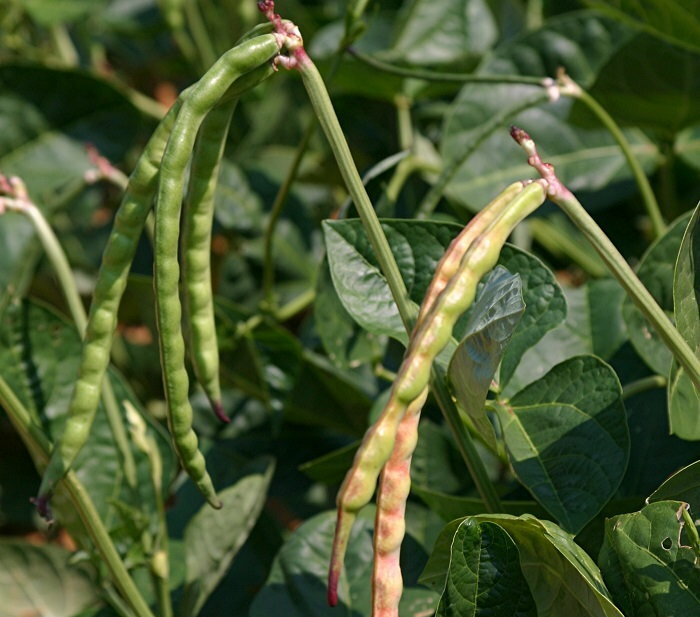 Cowpeas give back to the soil a huge supply of nitrogen, making them a great rotational crop with hungrier vegetables. Corn is most often planted the season after cowpeas because it consumes vast amounts of nitrogen. Cowpeas can be used as a nitrogen fixer and as green manure. The lowly cowpea has been snubbed for centuries as an inferior food source suitable for livestock and "poor folks." When the truth comes out, it looks like they’re the ones who got the prize.